“I want us to be a family that forages together.” I told Gabe. “That’d be fun.” He responded not really knowing what that means or looks like but eagerly jumping on board as he often does when I come up with yet another lofty dream. So we have a few books on our shelves that identify edible plants through scientific illustration, I’ve been out mushroom hunting once, and we’ve talked about taking the kids for hikes but that had been the extent of our foraging experience until one Friday afternoon in April. We dropped off the kids at school then headed east and into the woods with local foraging expert, Langdon Cook. 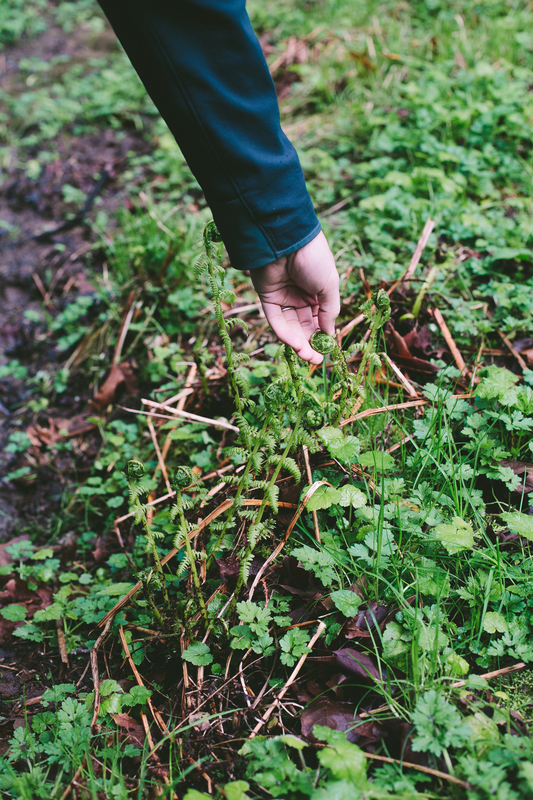 Along the three-mile path he identified miner’s lettuce, fiddlehead ferns, huckleberries, salmon berries, wild raspberries, Oregon berries, and stinging nettles. Being in those woods was familiar. I grew up with the pacific northwest forest as my backyard and spent my days snacking on huckleberries and cursing the stings from nettles. 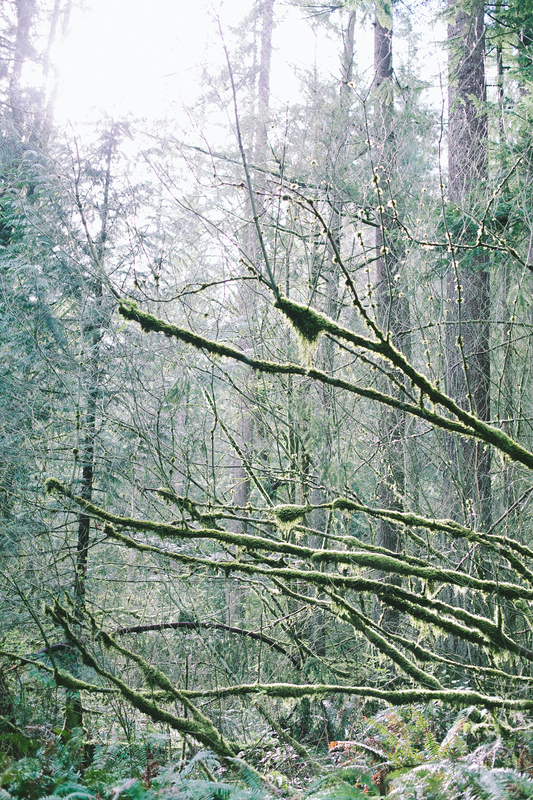 Wispy moss hung low on the trees casting a soft shadow on the green carpet below. Small buds appeared on a wild plum tree just starting to open up as the warmth of spring had just hit. Near a trickling stream he brushed aside the grass to show us the tightly curled sprouts of a lady fern. “This is what you are looking for.” He said as we watched him clean off the brown outer layer to reveal a citron colored fiddlehead fern. After the first one he pointed out to us we continued to see them along the path and cried out with excitement with each spotting. 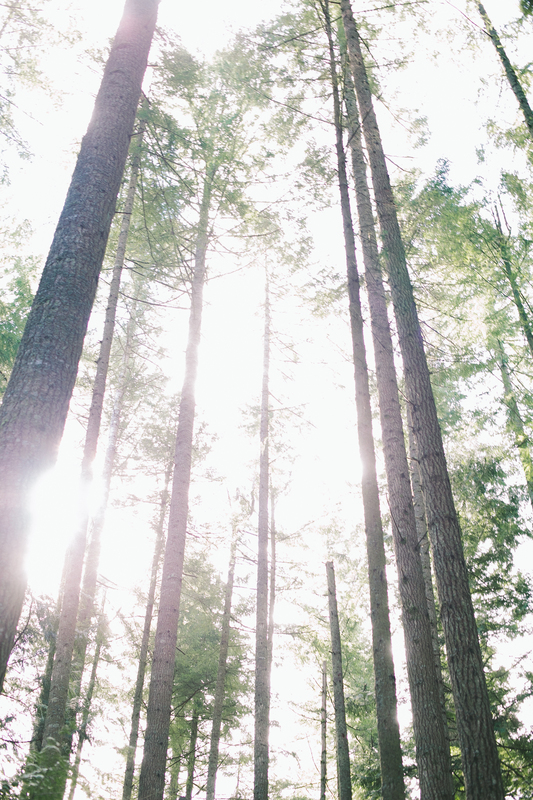 Our time in the woods with Langdon was about learning what to look for and quite frankly just about enjoying the time outside, being with my husband and away from work. At home I wanted to take a bit of what we found in the woods and make a date night out of it. So I grabbed some gardening gloves, a few bags and took the kids to the park after school. “We’re looking for nettles.” I told the kids. “Why?” They asked in fearful protest. It wasn’t long before the adventure felt like a treasure hunt and when we happened upon our first patch, lush with the bright green frilly leaves of stinging nettles, we all shrieked with delight. I donned the gloves and for the first time in my life I picked stinging nettles. My childhood was about avoiding them and now I was gathering them for dinner. Roman was eager to join in the harvesting until the nettles somehow stung him through the gloves. I was very empathetic when I dropped a freshly plucked branch on my sandal clad feet. We carried on, quickly filling a bag and happily recounting our plans for pesto to the curious passers by. Sure there had been a few stings but we did it. Well on our way to becoming a foraging family. With the gloves still on I plunged our foraged treasure into a large pot of boiling water. I remember Langdon assuring us that after 20 seconds in a hot bath the nettles will lose their sting. In our garden I foraged some mint and blended that along with the nettles, pine nuts, Parmesan, lemon juice and olive oil to make a grassy pesto to stir into our avocado soup. I love that Gabe doesn’t think I’ve lost my mind when I take our three kids into the woods to gather stinging nettles for dinner. Or that he doesn’t laugh at the idea of learning how to distinguish deadly mushrooms from the delicious ones. In fact he not only encourages this sort of behavior in me, he comes home from a date in the woods then immediately signs us up for a membership to the mycological society and gets downright giddy at the idea of putting the membership sticker on our car. 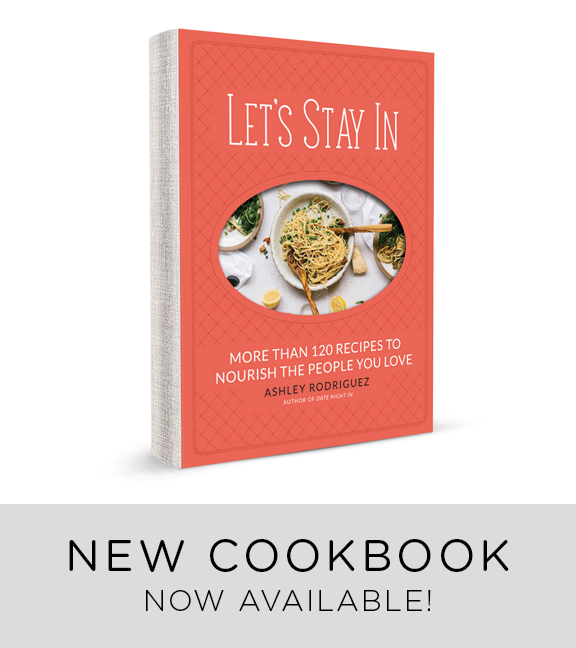 When I say I want to write a cookbook he goes and gets my half-written proposal printed and turned into a book in order to push me closer to my dream. And when I talk about wanting to move our entire family to Italy for a season he fills out the paperwork for the kids’ passports so we’ll be ready to go on a moments notice. When I mention I want to start painting more there’s suddenly a little watercolor kit on my desk. He not only supports my dreams, he takes the first step before I do. He’s the one, quietly in the background pushing me, encouraging me and inspiring me to keep on coming up with ideas like taking our family out into the woods to gather the ingredients for our dinner together. Without him I’m not sure I’d be so brave. We make a good team, he and I. *This post was sponsored by HowAboutWe but the words, as always, are mine. I was eager to jump at the chance to tell you about this company because it’s a service that Gabe and I desperately need. We’ve got the dating at home thing down. But when it comes time to go out and enjoy our incredible city we are overwhelmed with the possibilities. HowAboutWe for Couples (they have a singles site too) is all about wonderful experiences, tailored for two. 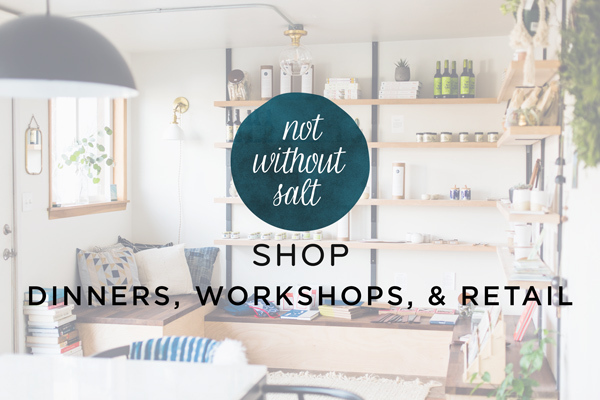 Members browse the curated collection of local dates, pick the ones they like, and go. There are dozens of dates to choose from. I was tempted by the tastings at local distilleries and beekeeping workshop and honey tasting but in the end the foraging trip won out. Right now, HowAboutWe is located in NYC, San Francisco, Chicago, Seattle and LA. But if you sign up even if you aren’t in one of those cities, they will email you as soon as they are in your area. If you sign up to become a member you automatically get great deals on some really creative date ideas in your area. Go ahead and give it a try. See HowAboutWe’s collection of free dates here. Any company that gets couples to spend more time together doing fun things is good by me. Combine the avocado, shallot, broth, lemon juice, salt, and pepper in a blender. Blend until smooth adding more broth if you’d like a thinner soup. Serve right away or cover and refrigerate for one day. 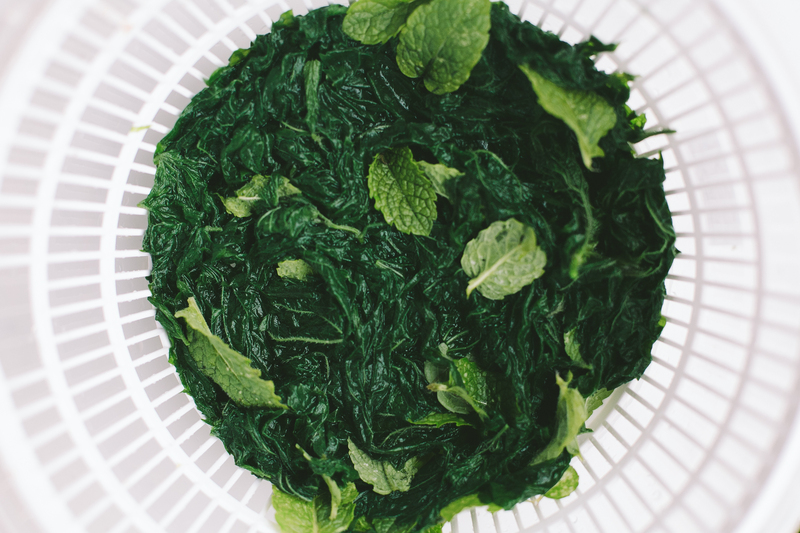 Langdon uses nettles wherever you would spinach – in pestos or nestled in between sheets of pasta along with ricotta. 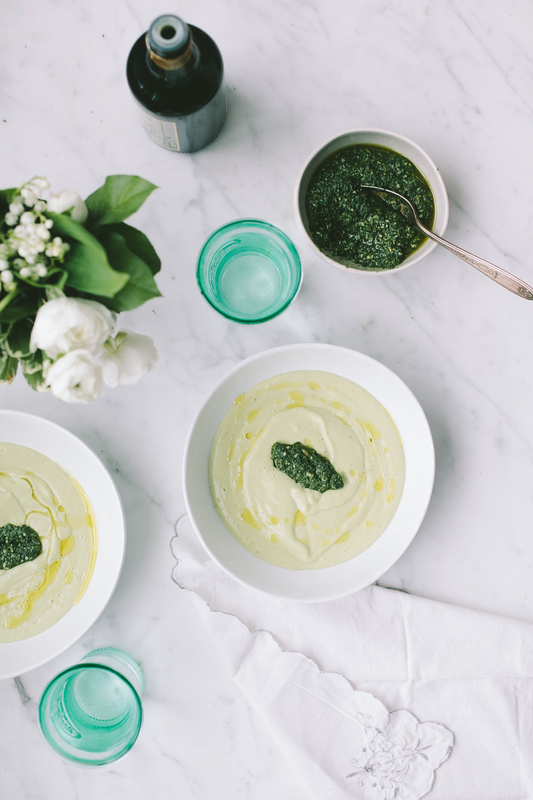 He says it is one of the most protein-rich plants and freezes beautifully so you can enjoy this taste of spring all year long. I realize that many of you don’t have access to stinging nettles like we do. Feel free to substitute arugula, basil or Italian parsley for the nettles. 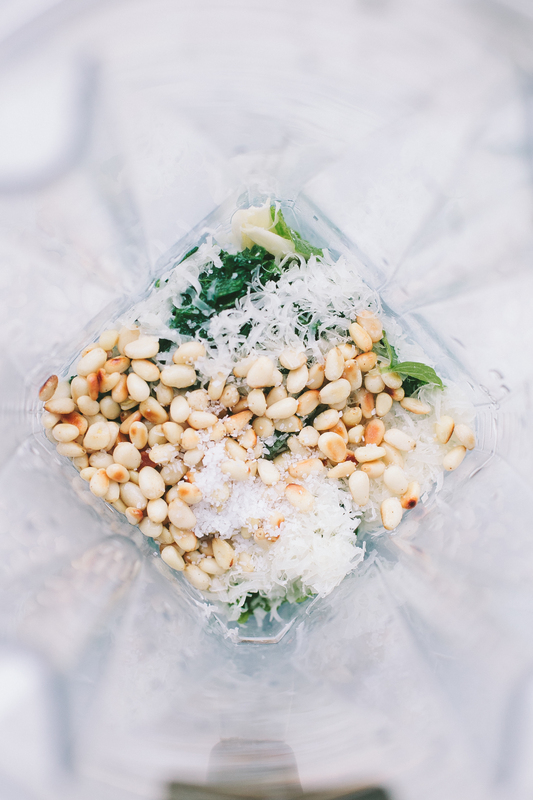 Combine the nettles, mint leaves, garlic, pine nuts, lemon juice, Parmesan and salt in a blender, food processor or mortar and pestle. Mix until pureed then pour in the olive oil. Blend until it just comes together. Use right away or cover and refrigerate for up to one week. 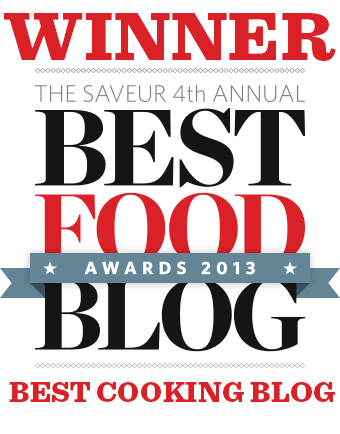 “Without him, I’m not sure I’d be so brave.” I so get this, and I love the photos, stories and recipe in this post. I love this – how fun. We often repeat the same couple dates and I would love some new ideas. What a great company and niche idea. Such a sweet husband you have and a fabulous pair you both make for the other. Appreciate watching you two love each other. Clearly the membership sticker needs to be on the car. I’ll be expecting proof of that. Beautiful story, Cynthia. I didn’t know you grew up in France. Amazing. And yes, Anthropology. Great post, my husband and I are going on one of those “dates” with Langdon Cook next month and I’m getting excited! 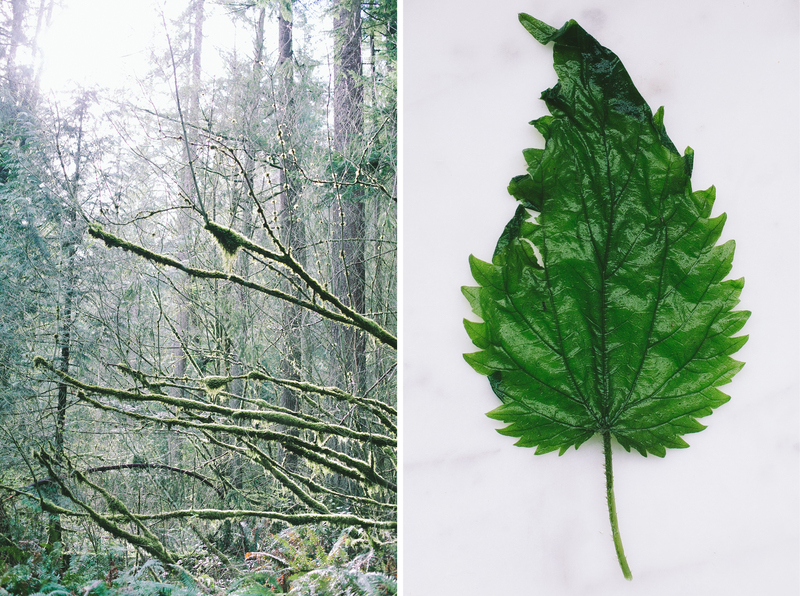 We already pick mushrooms and berries, but I really want to broaden my horizon…and I would love to see nettles as more than something to curse at when I hike! Have so much fun! Tell him we say hi. Such a lovely piece about your relationship. I really want to have a proper foraging session one day, it’s a great feeling, getting your own food in that way. Lovely recipe! Nothing better than freshly made pesto! Picked my first nettles this spring just down the street in the woods near our house. I made a wonderful creamy nettle soup that my husband was willing to try. It was so much fun! My daughter and archaeologist convinced me to try it and so we gathered them together. What a treat and definitely packed with great nutrients. What a sweet story. A creamy soup sounds wonderful. Loved your talk at Umpqua Bank today, Ashley! 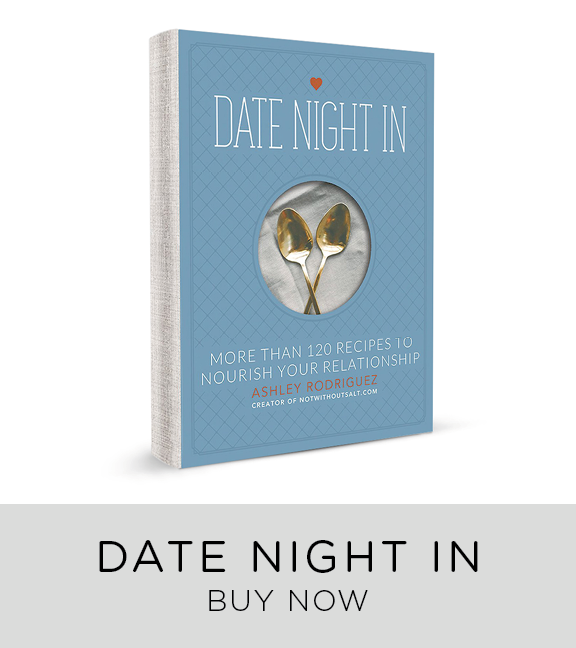 I love this idea for a date – I think there’s something so special about learning and taking that journey together. And, as ever, I love the way you talk about your relationship and how you manage to articulate its strength unlike anyone else. Love pesto. My grandmother used to work with nettles, but I do not have it in my region. Will use arugula then. Though, using basil looks so tempting. Never thought of basil+mint, two so dominant flavors. 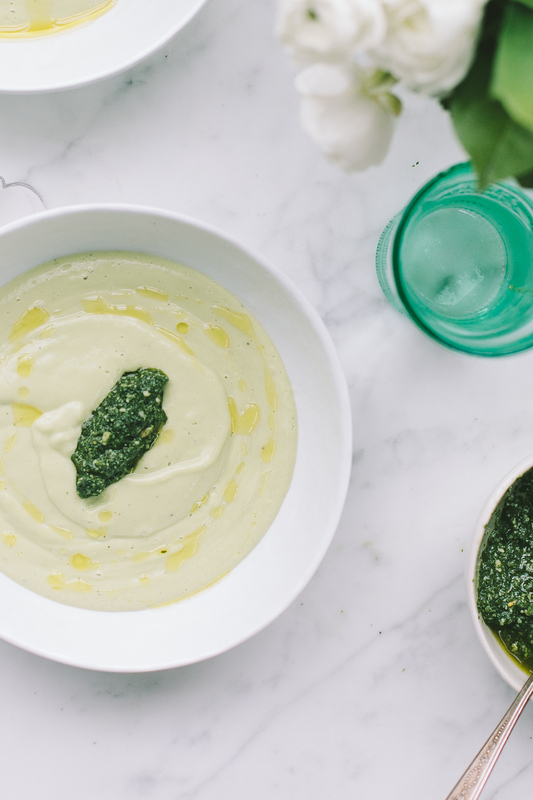 The soup and pesto look wonderful. I also highly recommend Langdon Cook’s book, The Mushroom Hunters. It’s stunning, and made me dream of moving to the pacific northwest. Yes! I got that book the day we went foraging but I haven’t read it yet. I can’t wait to dive in. This is fantastic. Also, I’m planning on making your pesto… but if I can’t get nettles, do you recommend anything in place of them? Thanks! Basil, arugula or italian parsley all would work well. I love this! Last year, I tried to get my husband to eat a dandelion green salad, and I’m fairly certain from the look on his face that he was contemplating having me committed. To his credit, he ate it. And… I think?… liked it. Such a fun date idea! haha. I love that. We have plenty of dandelions to harvest. Great. Can you tell me what you think of my blog I just started. Thank you. You sure do make a good team! A darn fine one! So, can I tell you a funny story about stinging nettles? My one experience with them was on a shoot last year. I was photographing a beekeeper and her hives and we were in a field. Stupidly, I not only wore a short-sleeved shirt, but I wore shorts!!! So, we’re walking through the field and all of a sudden I feel like my legs are being stung. Yup… stinging nettles. What a great story. You know what I like best about this? It’s a love story. I find it heartwarming that yet again people are brought together, brought much closer, because of food. Nourishment is not always about the items we eat, it also comes in the form of the company we keep. It sustains us, and takes on a higher meaning, when family seeks to make dinner time into the special event it always should be. My memories of dinner, with my family, are about the quality associated with the time we spent together, and never the quantity of the food on the table. It’s that time together that gave value to that food. Thank you for sharing, it is a great reminder of one truth that should permeate each meal … That food is love, pure and simple. it’s nice.I have to learn from you. I don’t think you are crazy going foraging. I think all the people that don’t forage are crazy!! It’s Free, there are no pesticites, and the “produce” is local and very tasty 🙂 We pick stuff off the road starting from May with Melberry, then continue with blackberries, then wild plums and finish of with persimmons. I ate nettles when i was a child, my grandma cooked wonderful soup with it. I am sure pesto turned out very good. Good foraging, guys!! This is such a beautiful post. 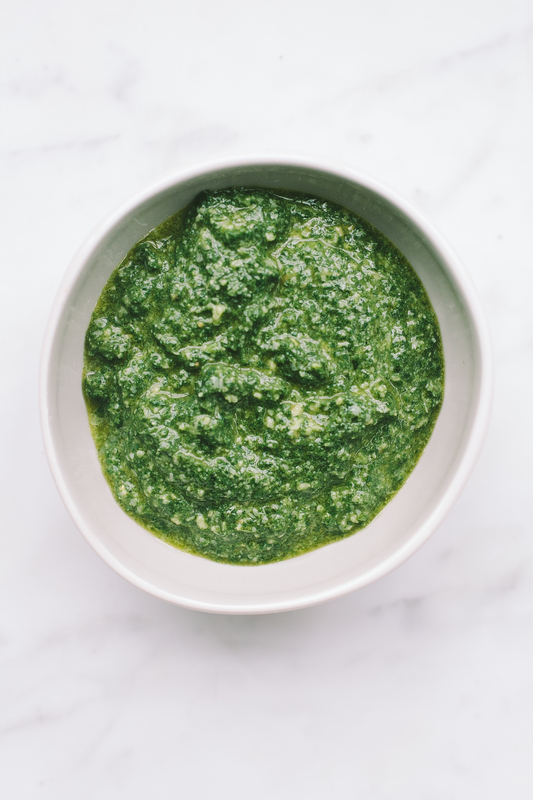 I love nettles but I never thought about making pesto with them – thank you for the great idea! Recently I have been adding horseradish or fresh wasabi to pesto and it’s wonderful.